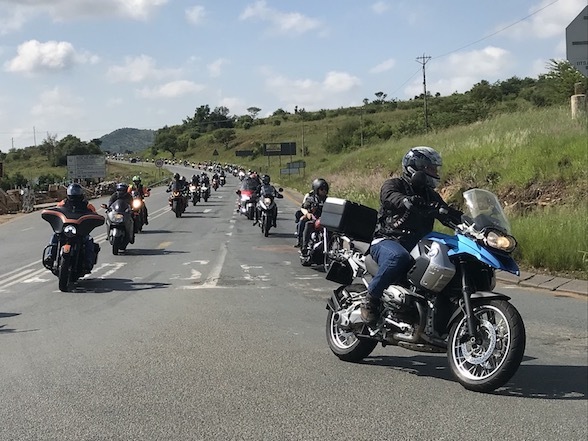 Despite being infatuated with motorbikes for most of my life, I have never participated in the South African tradition that is the breakfast run. Starting with track riding long before I was legally allowed to ride on the road was probably to blame for this, along with a healthy disrespect for taxis in general. Donovan has never forgiven me for this, and it was his positive encouragement (read as “relentless whining and nagging”) that led to me getting my learner’s licence (finally) this year. 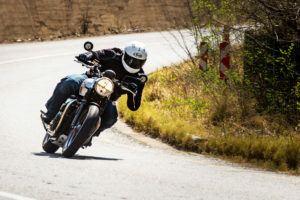 The licence remained in my cupboard until a recent phone call invited me to ride some retro Triumphs around a few hills in Johannesburg. Justin Fernandes would be involved, but this didn’t put me off, as at least we could go and see his stunning feline friends at Jugomaro Predator Park. 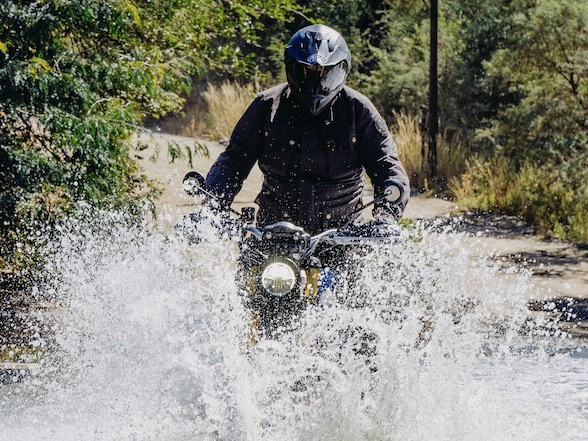 I have been trying hard to broaden my mind, which some would say is about as amenable to change as Robert Mugabe, regarding my opinions on certain bikes. I had already performed a full turnaround on my opinion of Ducati after seeing how far they had progressed since the 749R, so perhaps Donovan could make me see the light regarding the café racer image. To me, they were used purely for parking off at Parkhurst to take selfies (also known as “alonies”), and didn’t really offer much in the way of riding pleasure, and were only useful for looking very cool. 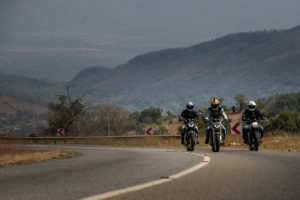 Donovan and I set off early enough not to be caught in traffic, towing three new Triumphs and two excited riders (not journalists, just plain riders) ended up in the far West Rand for a day of festivities. If you haven’t yet been to Jugomaro, do yourself a favour and go support the good work being done there, and take some photos while you’re at it. The bond between Justin and these cats is truly something incredible to witness, but apparently cats are much less discerning than Donovan and I who did not express the same loving bond. After I had finished taking photos of the magnificent jaguar, I began to wonder about the prospects of survival as Aleks, the lion, wanted to “play” with me. I extracted myself from the ministrations of Alex, and directed the efforts of Donovan and Justin in unloading the bikes, and after downing our drinks supply, it was time to set off. Donovan had picked three “same, same, but different” motorbikes from the Triumph stable, kindly provided by Arnold Olivier at Triumph SA and Nick Davidson from Traditional Triumph. 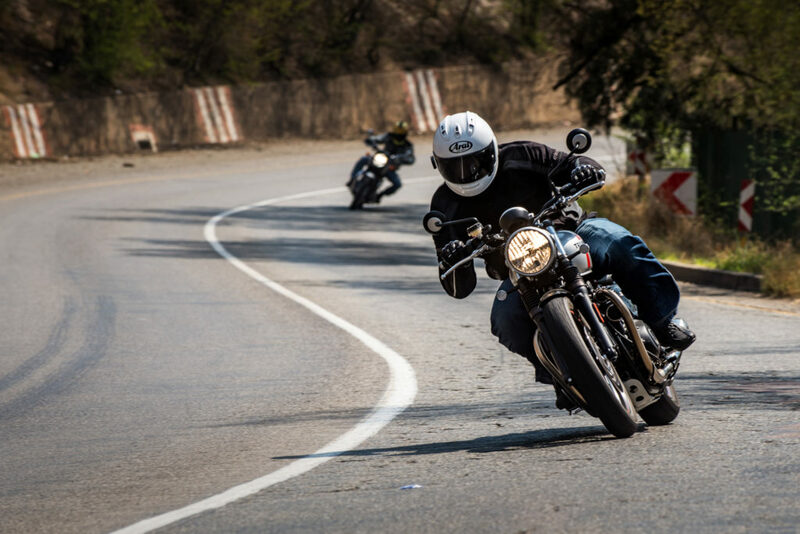 We had brought along the entry level Street Twin, which was my first steed for the day with its friendly 900cc engine. 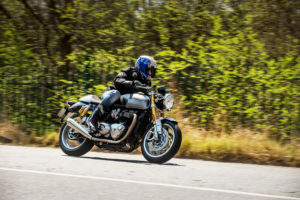 Then we had also brought the bigger brother, the Bonneville T120 with 1200cc of twin cylinder motivation, and finally, the unruly cousin of the family, the 1200cc Thruxton R, whereby the R stands for Really unexpectedly fast. We took a sedate ride at very legal speeds to Black Horse Brewery, and then rode back via Magalies town crossing over some rail tracks (not sure if these could take Prasa’s new carriages). This was, I was told, a very typical breakfast type run, and therefore great for me to get the hang of the bikes and road riding in general. I couldn’t think of two less responsible instructors in this regard, but as with our politicians, we make do with what little we have. The riding was intermittently interrupted by the requests (demands) of the talented Meghan McCabe, who was doing her best to make us look vintage and café-racer-ish in her photography, the results of which you can see in the photos around this article. 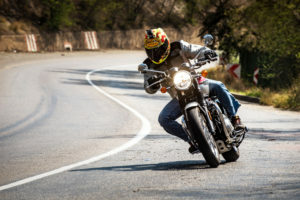 Donovan assured me I was “wrong as usual” regarding my negativity towards this kind of motorbike, and I would see they are purely about fun and not about numbers, and it wouldn’t take long for even me to understand why the Thruxton R had won Bike Of The Year ahead of my beloved Panigale 959. The Street Twin was friendly enough for me to start on, a relaxed riding position with a reassuring throb emanating from the engine, and a great character (which made up for this idiot wearing superbike race gloves). For someone who is essentially a road riding newbie, this bike is ideal; fast enough to keep one happy, yet staid enough not to scare you any more than a taxi driver would. 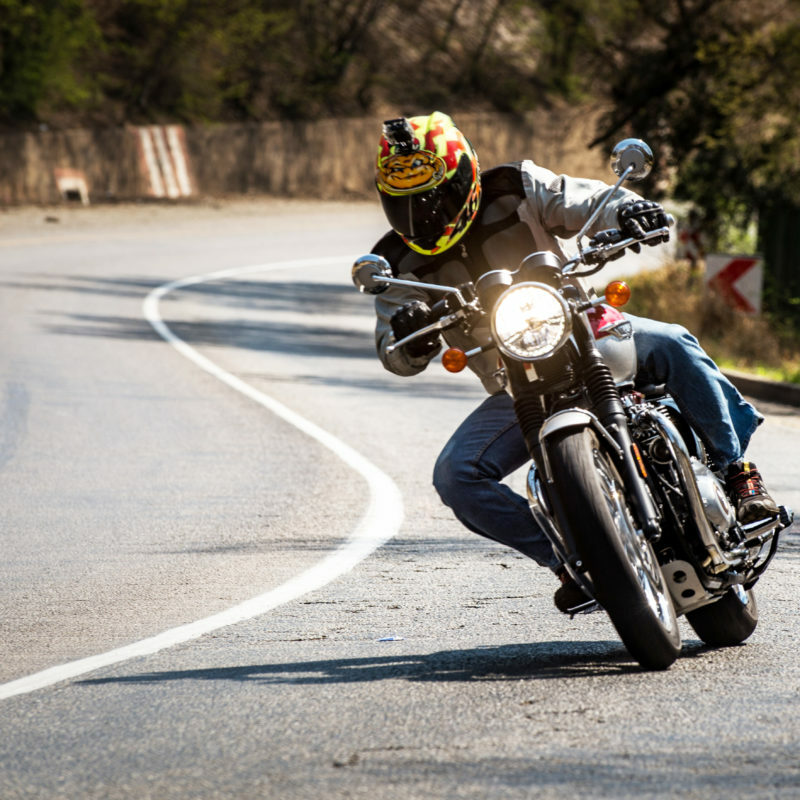 The Triumph Thruxton R won the Pirelli Bike of the Year 2016. Although I enjoyed this bike, I found myself craving slightly more horsepower. More than likely due to the incredibly childish riding of Justin and Donovan, and my need to have more power to make up for my lack of confidence and paranoia: “Is there sand on the road, that was a huge pothole, why are you overtaking on a solid white line, where did you buy your licence?” etc etc. 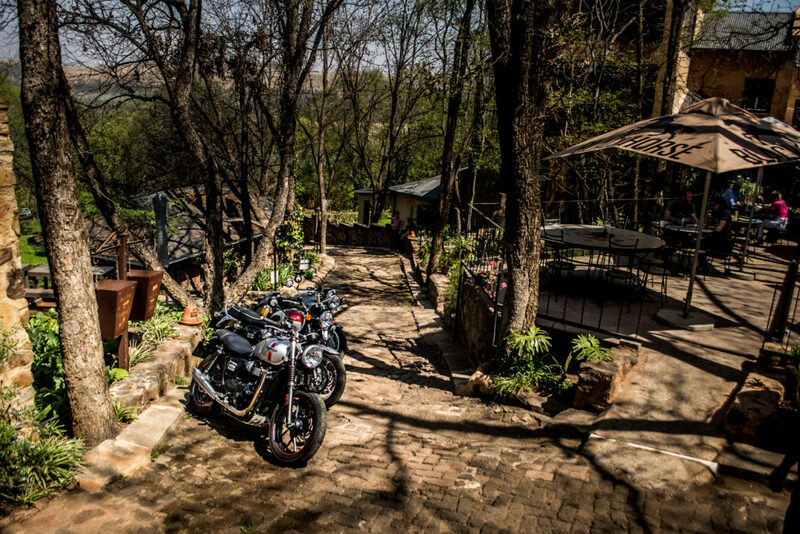 A long meal, a lowbrow discussion filled with jokes, a few more photos and we swopped rides before I continued through Magalies town on the Thruxton R. This being the major league bike that Donovan had promised would change my perspective on café racer culture; he deliberately arranged to save the primo bike for last. The Thruxton R is a consummate, no holds barred, reminder of the major reason why we all love bikes, unqualified fun and certain, unquestionable, happiness. This bike was substantially different to anything else I had ridden in every sense of the word, from the appearance, to the engine, to having twin rear shocks. It was stunningly quick, a sheer rush of riding pleasure, and the lack of fairings, magnified the sensation of speed. Even Donovan managed to look reasonably hipster on it. I was definitely a fan, and can now finally completely see the appeal that each of these bikes have. 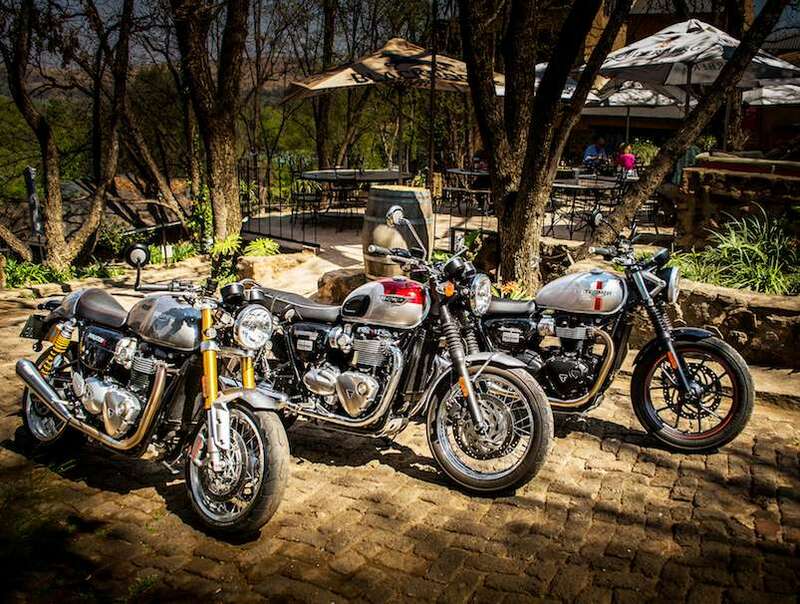 I would obviously pick the Thruxton R because it’s the fastest and I am a childish racer at heart. 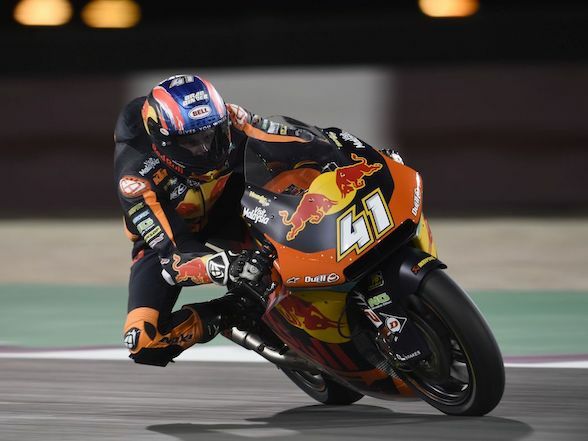 Once you factor in the price against that of current superbikes, the attraction becomes undeniably apparent. 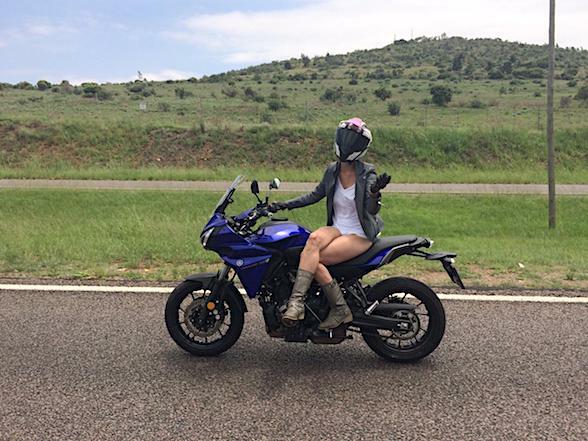 I am sure I would not have had as much fun, on my very first breakfast run, on any other motorbike, and I have just learnt another lesson about motorbikes. Café racers are definitely not overrated. 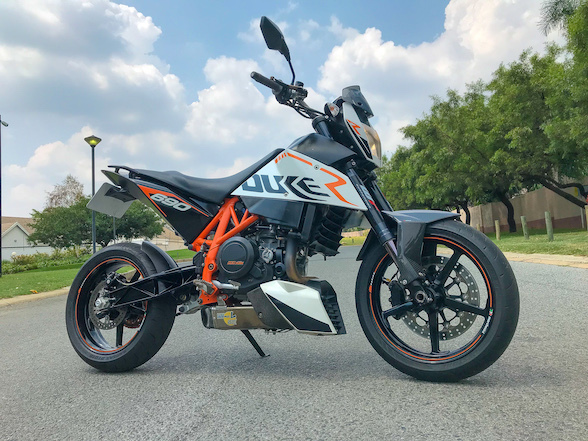 It speaks massively for these bikes that the world’s biggest hipster and café poser hater admitted receiving enjoyment from these motorcycles, and agreed that they offered more to society than simple status upliftment. As is the way with global progress, machines previously providing one function continue to evolve to quench a plethora of needs. 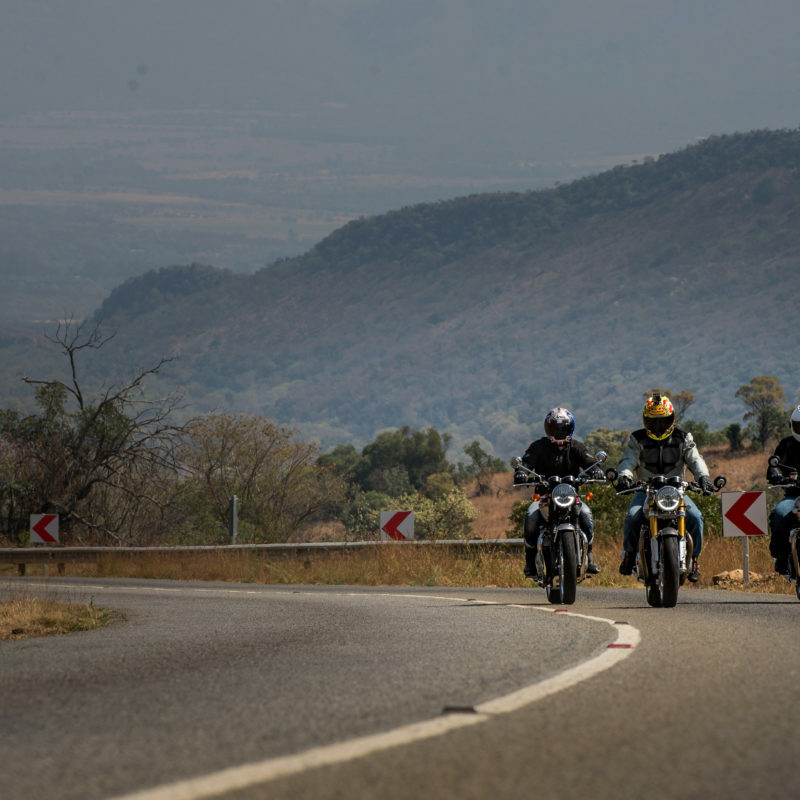 Thus we arrive at the point where motorcycles that, in the recent past, really offered only nostalgia and a warm, fuzzy feeling to people with long, grey beards, are now wholesomely enjoyable motorcycles for all. 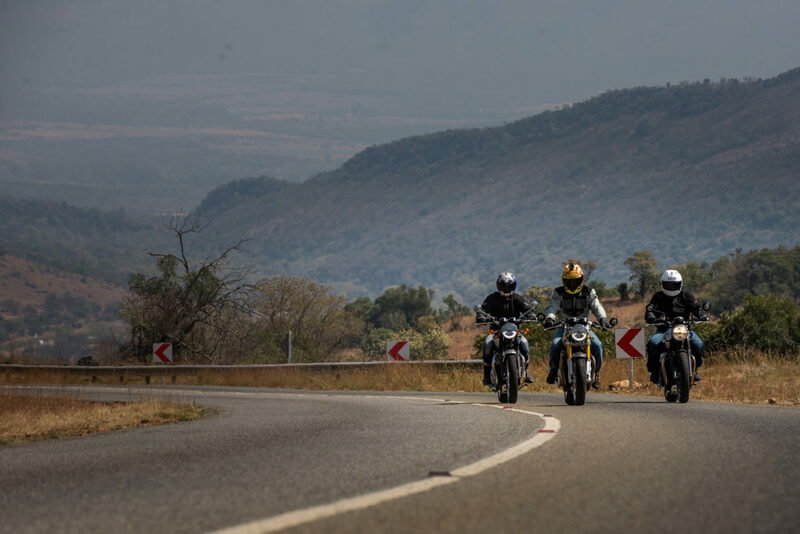 Previously, they left a problem for motorcycle journalists, who would ride them, think that they were good fun in a sort of classical, chug-along way, and then would move on with their lives, leaving them to slip away into oblivion. This is where Triumph is a really causing a stir – their retro models, keenly dubbed “Modern Classics” by their enthusiastic marketing team that is impervious to oxymorons, have the definitive retro look, style and initial feel, but when you climb on one and start the motor, you will feel a rumble that’s distinctly not chug-along and will set off in a whirlwind of torque and character. 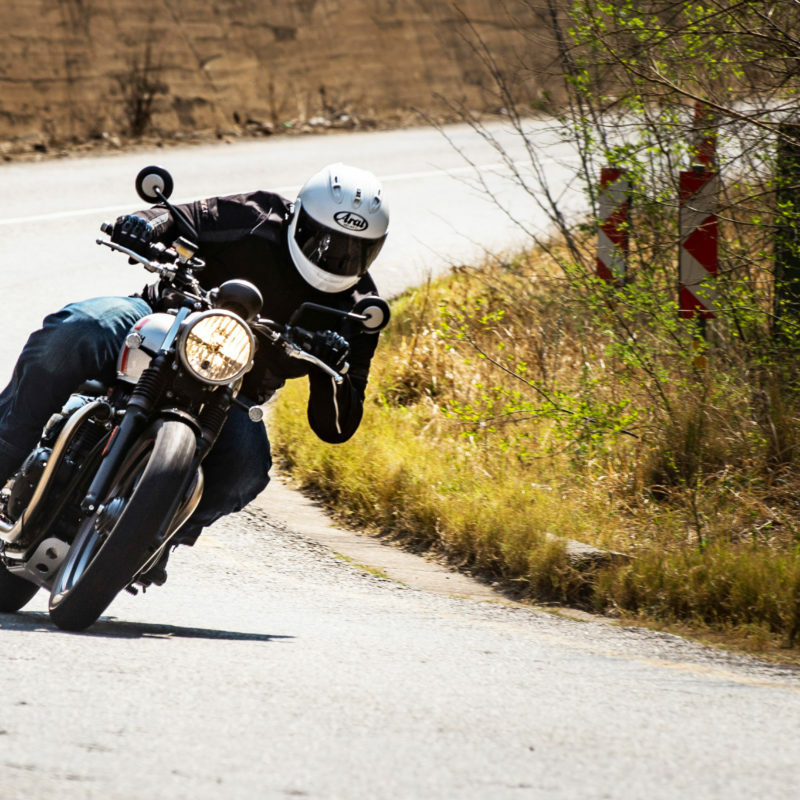 The Street Twin is plucky and rowdy, punching well above its weight. 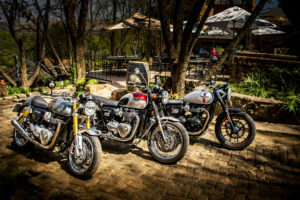 The Street Twin is the baby of the trio, the younger brother, the little one. 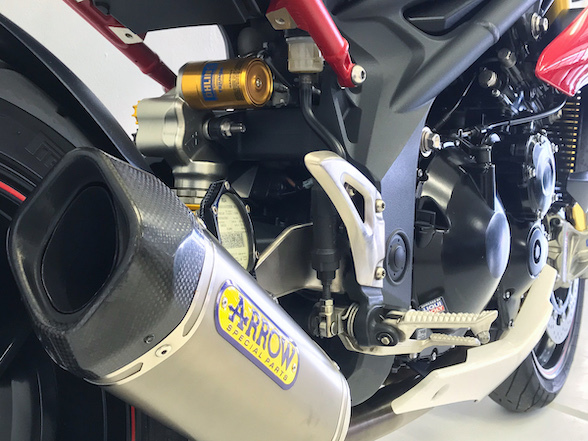 While the other two have throbbing 1200cc mills, the Twin is driven by a more meagre 900cc parallel twin with a five-speed gearbox and single overhead cams, so we are forgiven for presuming it was going to be the least interesting, the one we were drawing straws not to ride, the dud. Sometimes it‘s truly terrific to be wrong. We are hesitant to use the clichéd term “plucky Brit”, but this is exactly what comes to mind when riding it. The motor has the destinctive fins of an air-cooled unit that are completely negated by the full-sized radiator. More so, there is a ride-by-wire throttle, making sure all 900cc is giving all they can. The result is a motor that spins up like a buzzsaw, pushing 55hp, which doesn’t sound like much, but it is 55 of the most gutsy stallions you have ever experienced. Technically, it isn’t fast, with a top speed of around 180km/h on downhills and you will be lucky to find 160km/h on uphills, but the feeling emanating through the bars is that it is somehow going faster, as though it is doing the speeds without actually doing them. It has the looks too. There’s no fancy LED headlight like the other two, but it does have upswept exhausts, the exposed motor and the trademarks of a classic racer. 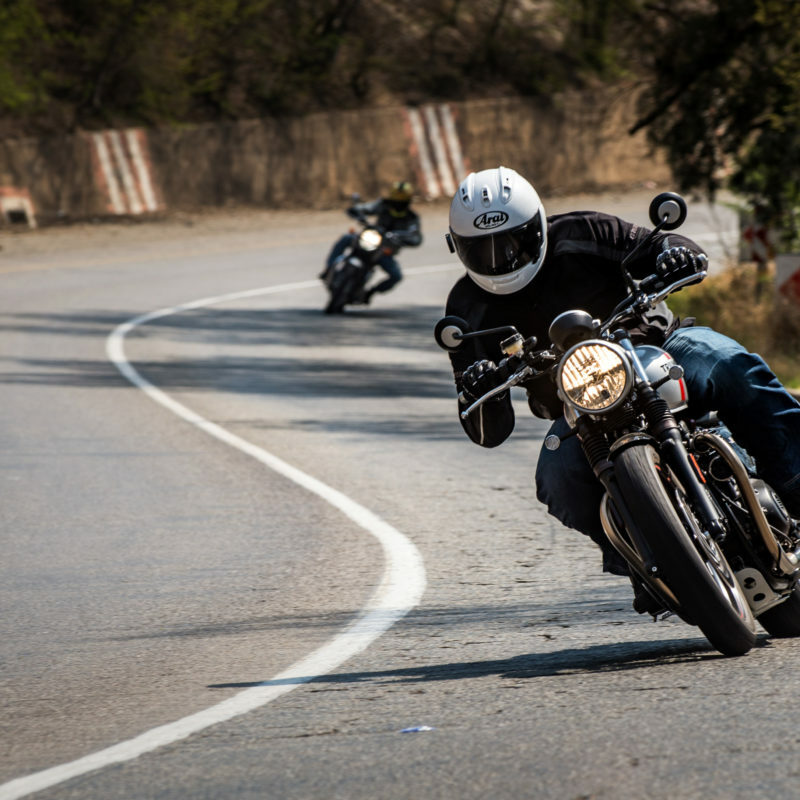 The Street Twin is the younger brother in a family of athletes. It might not have the muscles of its older brothers, but it is going to do its damnest to keep up. You have to respect that. At R129,500, you can respect it even more. Justin Fernandes taking a break from hand feeding tigers to give the T120 a go. 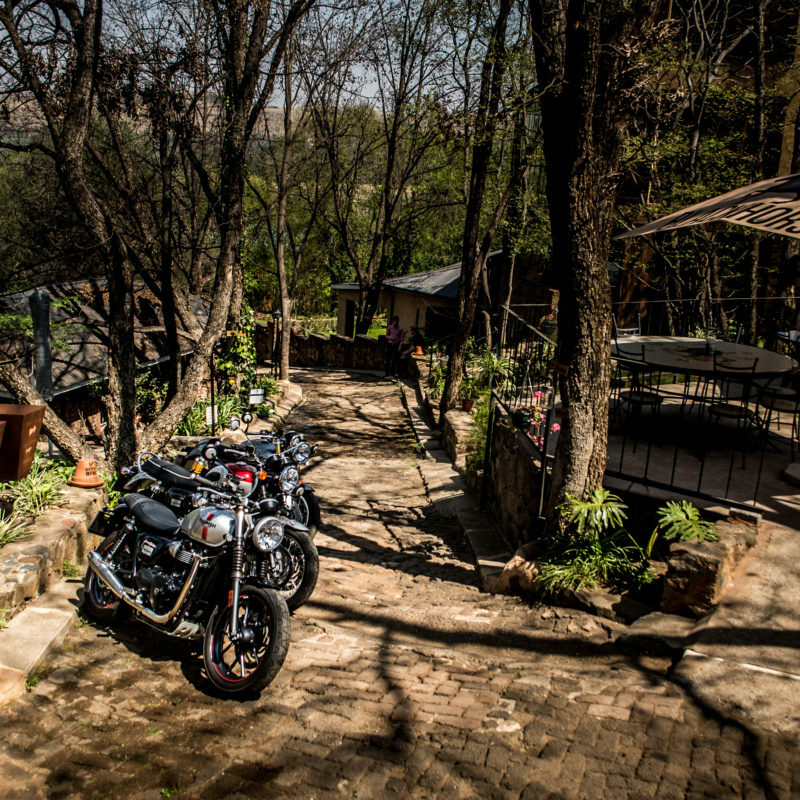 When Triumph put the name “Bonneville” to a motorcycle, they immediately line up a barrage of tradition and heritage. 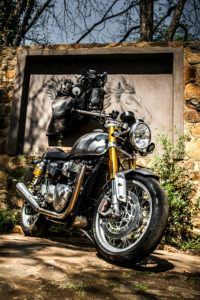 This is why the T120 is the grown up of the trio – the engine still keeps the air-cooled look, even though it also has a radiator sitting surreptitiously in front of it, and we say surreptitiously because Triumph is doing everything in their power to remain true to their traditions while at the same time building a good motorcycle. And they have done a good job of it. The radiator is hidden by shrouds, and all the radiator hoses are tucked away, giving the motor a look of air-cooled authenticity. It also makes use of fuel-injection with ride-by-wire throttle, that is cleverly disguised to look like carburettors. While its siblings have swept up, race exhausts, the Bonnie remains true to form with its classic-looking, straight-through units, that are only mildly betrayed by a Vance & Hines logo stamped on them. The original T120 racer from the ‘60s was called thus because that was its top speed (in miles per hour), and while the same is vaguely true for the current model, it rather adopts that name because of its change in capacity up to 1200cc. Power is up to 79hp, which is great, but more importantly the torque is up to 105Nm, a whopping 50% more than its predecessor. It is a bike that embarasses heritage and inspires nostalgia, and on its own it is no doubt brilliant, but on the open cradle roads, it does feel outdone by its siblings. It’s faster than the Street Twin, but it doesn’t feel as lively, more sluggish, lazy even. 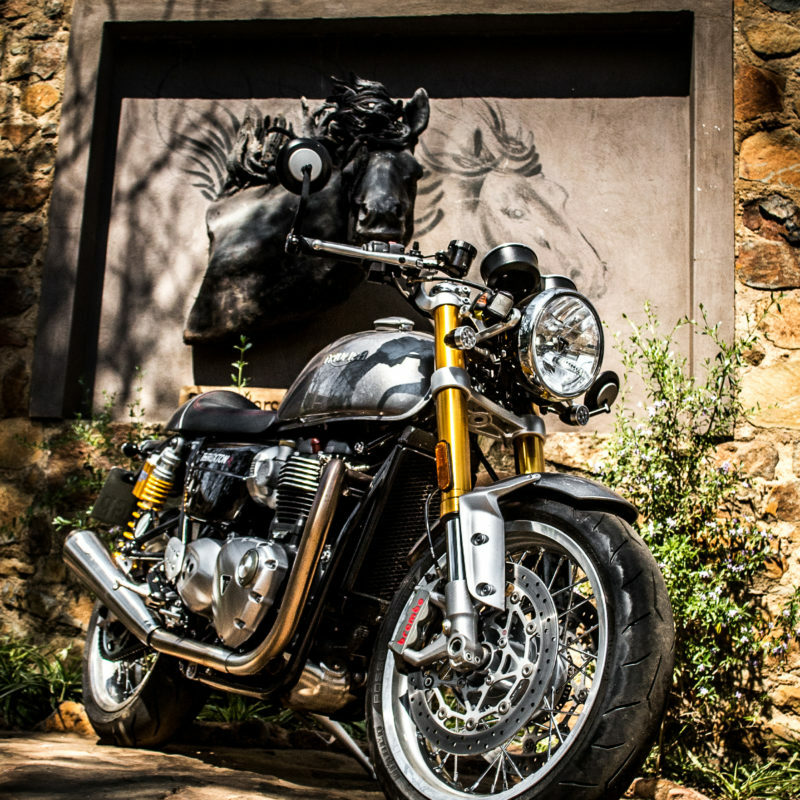 It’s true that the T120 is the twin brother of the Thruxton R, but where the Thruxton R dons sport shoes and a tracksuit pants, the T120 is wearing a tweed jacket and a pocket protector. It is more grown up, which is perfect for the person it is aimed at. It is comfortable, easy to ride, unintimidating and has the classical looks that will give you a retro fizz. It’s also R147,500, perfectly placed between the Street Twin and Thruxton R.
Craig never expected the punch a Thruxton R gives. 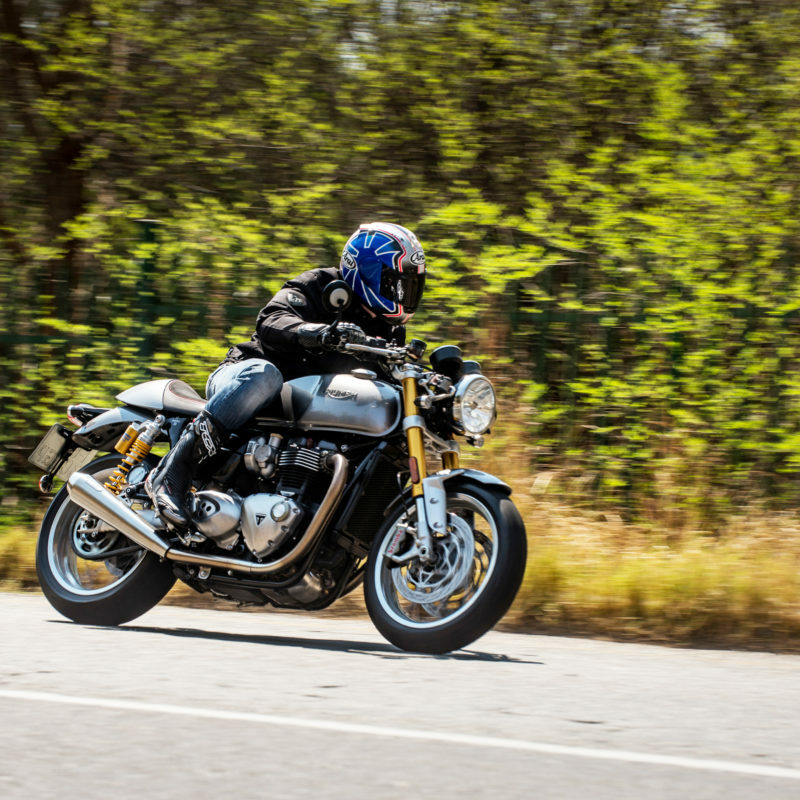 As you’ve probably heard by now, the Thruxton R was voted the 2016 Pirelli SA Bike of the Year and, while many were sceptical of this choice, there is a simple reason for the judges’s decision – the Thruxton R is absolutely brilliant. 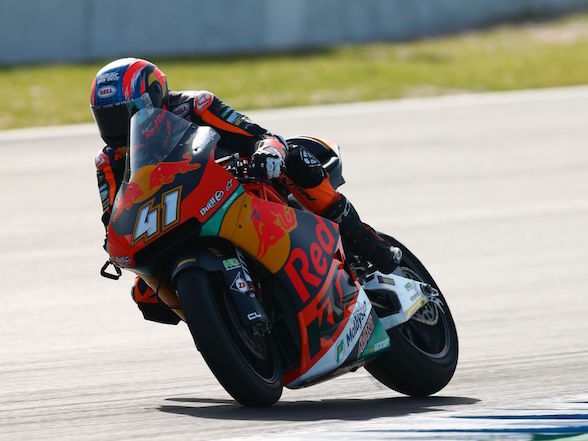 It looks like a racer from the ‘60s, and not just a cheap mock up; it has all the proper racing credentials – Showa Big Piston front forks, like those used on litre superbikes, Ohlins twin rear shocks, Brembo Monobloc callipers also like a 200hp superbike uses and a motor, oh what a motor. 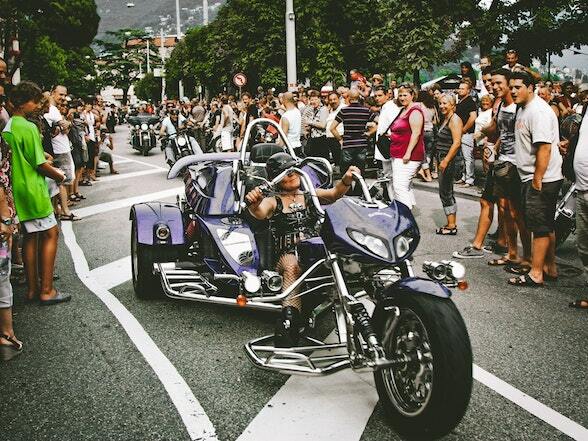 Some stats – 1200cc liquid-cooled parallel twin, 96hp, 112Nm, fuel injection, ride-by-wire and a 270º crank. This all does not tell the story in the least bit. 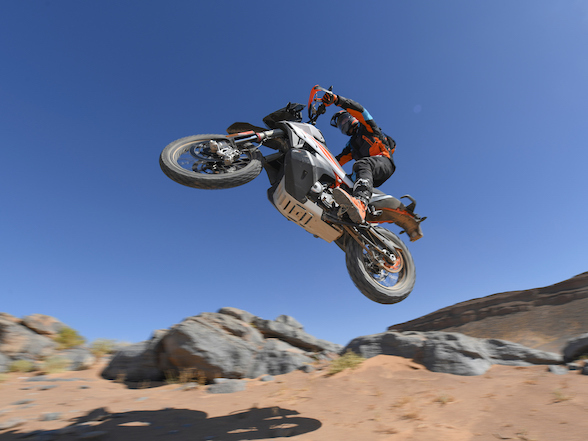 Put the RBW in Sport mode, rev that delightfully barky engine, put it in gear, pull away, accelerate and feel the engine throw the front wheel into the air. Or it would, if it weren’t for the traction control getting in the way, but turn that off and you will be required to short shift in first gear if you want to live. It’s almost unnerving; it’s like an old grandpa in a gym walking past some buff young men, picking up a massive dumbbell with one hand and effortlessly hooking it in the top hanger. Riding the Thruxton R is like hanging out with Chuck Yeager. Anyone who follows him on Twitter knows that he is a USAF war hero in his 90s who is honest, brash, forthright, unabashed and deeply, deeply entertaining. At R174,500, it isn’t badly priced. 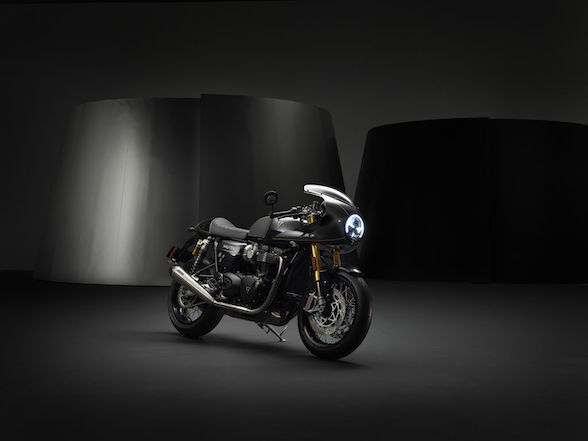 It’s a similar price to a BMW R Nine T.
As we have said before, it puts the Racer back into Café Racer.